OK, I’ll finish the punchline . . . that a decades-old networking technology, which has disappeared from pretty much all other industries and has a fraction of the bandwidth of current networks, is still one of the most common choices for digitally connecting parts of the power grid. More specifically, according to Pike Research, utilities are commonly using leased telecom lines attached to 1200 baud modems to digitally connect electrical substations in their power grid network. Most 1200 baud modems have a bit rate (how much data they can move) of 1,200 bits per second. For comparison, average consumer broadband speeds in the U.S. are 9.9 Mbit/s (1 Mbit is 1 million bits). So a 1,200 bit per second modem is more than 8,000 times slower than a 9.9 Mbit/s Internet device. My scientific conclusion is that’s hella old and slow. In fact, it’s so old and slow that Pike Research says a common utility complaint is that carriers are seeking to get rid of these links, as they’re no longer profitable for the carriers. Decades ago it was fairly standard for a phone company to lease a dedicated phone line circuit (installed and configured by the phone company) to the utility in order to build wide area networks. But that’s not the case anymore. 1). “If it ain’t broke, don’t fix it.” Many of these lines have been in place (at least from a system design perspective) for over 20 years, and work just fine, so why change them? Also, these lines are generally very reliable. 2). The phone company may have installed a line to a relatively remote substation a couple of decades ago, but has not and will not put something else in without a significant fee. 3). But perhaps most significantly, the system protocols for SCADA systems (supervisory control and data acquisition) – from top to bottom – often assume there is a dedicated fixed line, and essentially rely on the attributes (speed, latency, etc.) of that fixed line. If it’s changed, even for a faster link like DSL or such, it may break the operation of the overall system. Hence utilities stick with the antiquated technology, perhaps paying hundreds of dollars per month to lease the line, in order to not “upset the apple cart.” This is the key reason utility networks, like telecom networks before this, MUST switch away from these vertically integrated communications systems with their hidden system dependencies, and move toward layered protocol network implementations, where different layers can be switched out without unintentionally disturbing the rest of the system. I find this article a bit lacking in substance. While the arguments for keeping old lines are mentioned, they seem to be dismissed without thought, simply because “the lines are old”. I see no argument here for why the old lines are a problem, except for that the carriers don’t think they pay well enough. We all want reliable critical infrastructure. But that doesn’t necessarily equate to being up-to-date on all forms of technology. Why? Well, more than anything, we would like to see the power grid as reliable. This has consequences for a lot of the choices utilities companies make. And if a change makes no economical sense either, there’s even more reason not to change before one must. Exactly. And they are so for several reasons, one of which is complexity (or the lack thereof). In a modern network, with it’s layered protocol implementations, you get a lot more interconnected entities (HW and SW) that fail once in a while. Add to that a lot of dependencies and unexpectedly tight couplings, and your complexity goes up exponentially. Sometimes, you might gain reliability for the network as a whole, but at the cost of lowering the reliability for each single link. Also, the interdependencies between network components can lead to the occasional massive outage, taking down many links instead of just one. (I’ve seen that happen on various network through the past 10 years). Upgrading doesn’t just cure old problems, it also brings you a whole lot of new ones to tackle. I’ll give you a simple example: where I live, that fee can rise well into six figures, adding decades to the time it takes get your ROI compared to the old lines. Fear of change? Or of the cost of change? Maybe, but being restrictive with changes to critical infrastructure is usually considered good practice. Besides, this isn’t really and argument for not upgrading to “better” lines, since older protocols usually can be emulated on those lines. And if, in the end, the bandwidth requirements do not exceed what those antiquated modems can deliver, then you’re left without much reason to change. At some point, all of this old crap (yes, I don’t argue with that) will have to be changed. In fact, the company I now work for already took that leap many years ago, so we’re already past the “antiquated modem” stage. And now we’re ready for yet another lift to newer and, we think, better technology, a change that is maybe a lot easier for us than many others, since we have a less “ancient” starting point. But these lifts have shown us that the picture is way more nuanced than you seem to think. In Australia we are trying to combined smart grids with the roll out of the national broadband network. This is a link to a paper that has been developed by Smart Grid Australia on the issue. The SCADA system in the city where I worked previously was all run on a 1Gbps fiber network. So it is possible to do. I remember when I lusted after 1200 Baud modems. 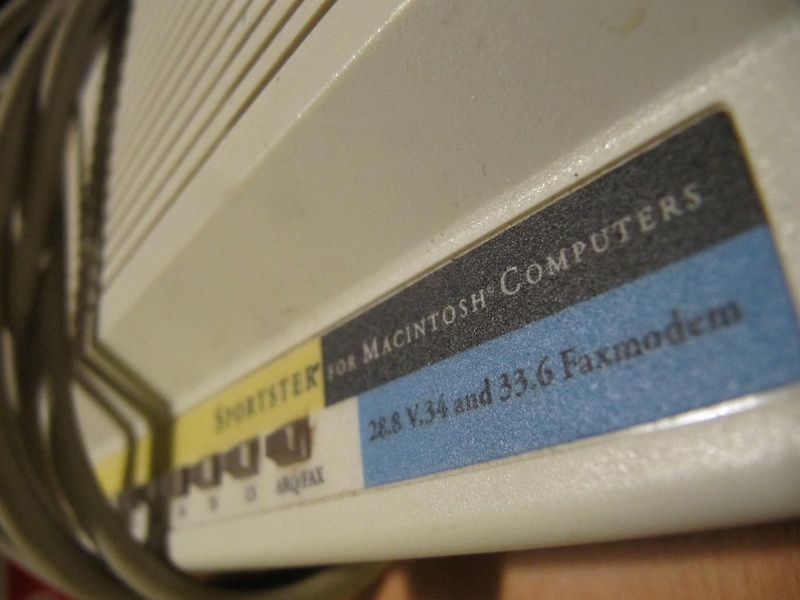 At the time, I could only afford the 300 Baud Modem, the 1200 Baud was out of my reach (I was in 5th grade). Interesting article Katie. 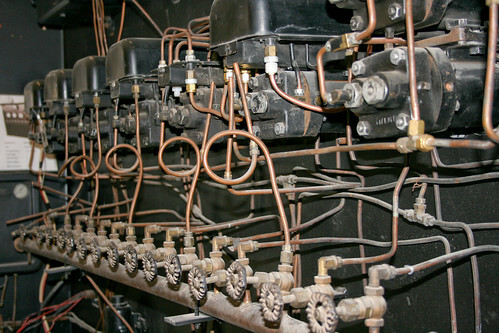 Most laymen would never guess how antiquated parts of the power system still are. Maybe they could upgrade the substation comm-link to twice the baud — 2400 baud modems — for a slightly “Less Stupid” Grid. I think there might still be a pile of working 2400 modems in an old box in my basement.